After a drive down to Rehoboth Beach, my friend and I were ready to grab some dinner. As we walked up and down Rehoboth Ave. looking for someplace to eat, I remembered hearing good things about Pig + Fish so we decided to give it a try. Fortunately there wasn’t a wait so we were seated right away. After reading over the menu and checking some Foursquare reviews, we knew we had to try the Applewood Bacon Crab Dip. 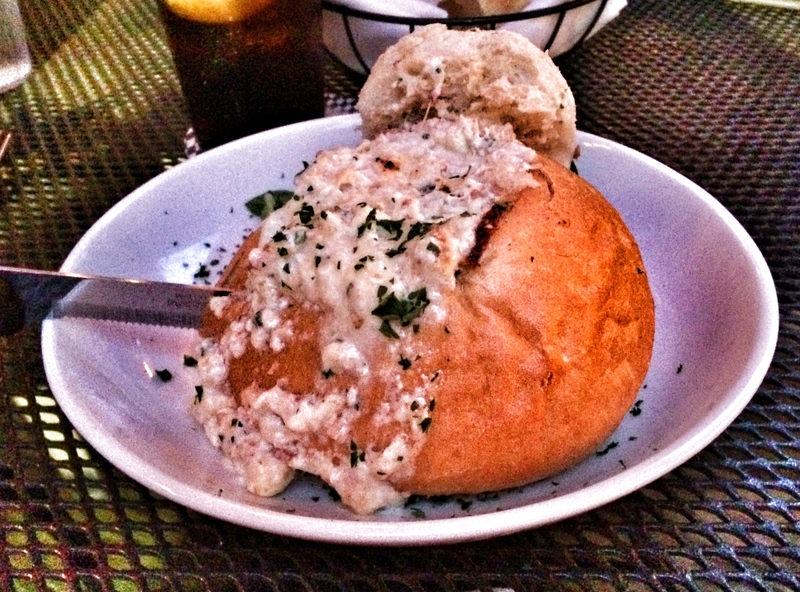 The dip was a mix of cheddar, cream cheese, onion, horseradish, fresh lump crab meat and bacon in a rustic bread bowl. We were at the beach so there is no better place to get fresh crab meat. My friend didn’t love the cheese blend on this dish but loved the addition of the bacon and the bread bowl. For her main course, my friend ordered the Margherita Pizza. The crust was thin and crispy, almost like a cracker but she loved it. 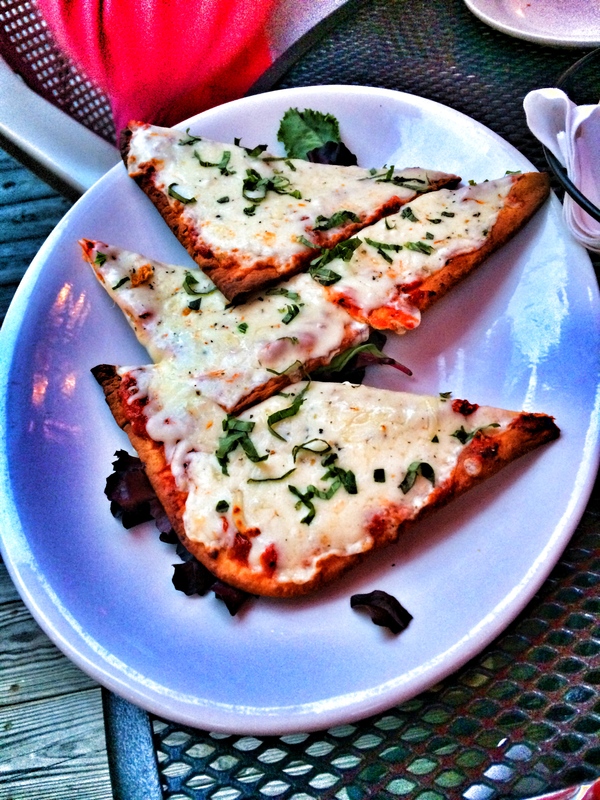 It was cheesy and full of fresh flavors. 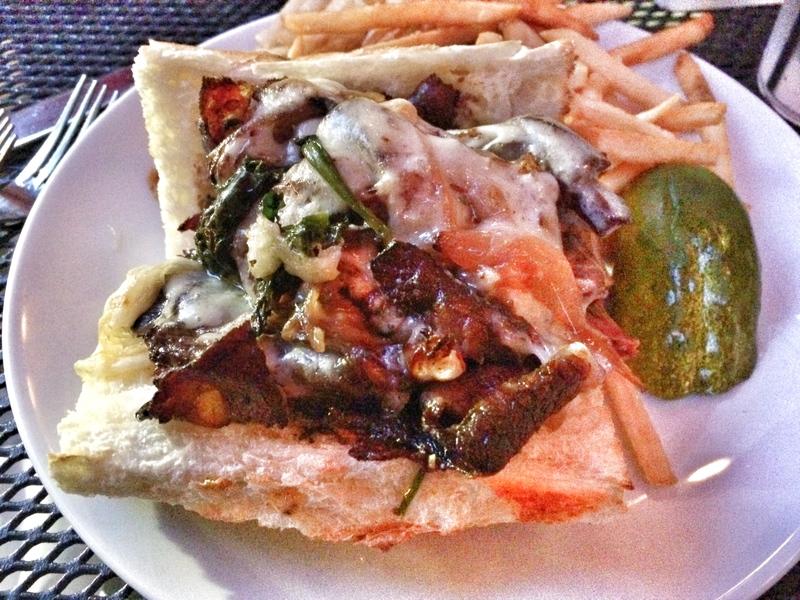 For my main course I was in the mood for a sandwich and the Beer Mustard Brisket Sandwich caught my eye. The sandwich was smoked brisket, beer mustard, caramelized onions, swiss, garlic sautéed spinach on a toasted ciabatta roll. This sandwich was delicious and packed with flavors, however I wish the bread was a little thinner because I found that it took away from the delicious brisket taste. My sandwich came with a side of French Fries. 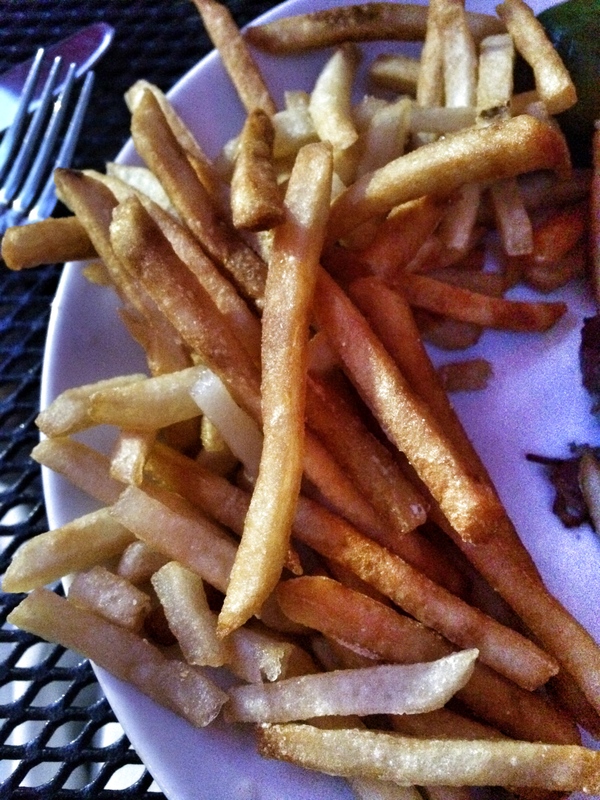 These were your run of the mill french fries but a great addition to the sandwich. 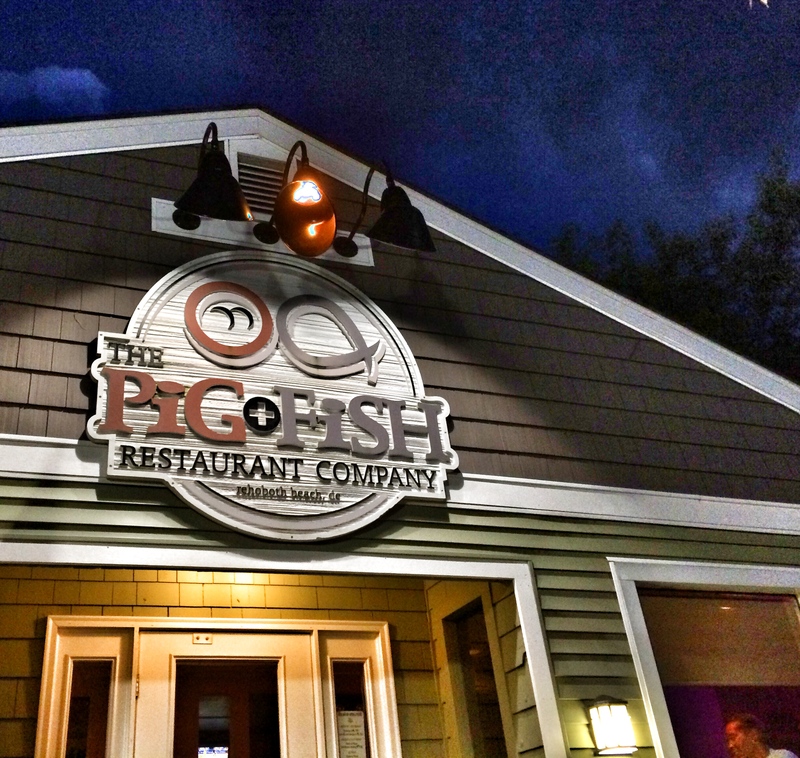 If you’re in the mood for some great American Food on the main street in Rehoboth Beach, consider checking out Pig + Fish for a menu full of options that won’t disappoint. You are a girl after my own heart. I love it there! They make amazing fish tacos! Someone at the table next to us ordered them, they looked delicious!